Yesterday I sat down with the erudite scholar, Shaykh Mohammed Awal and we had a quick interview. Most importantly, he speaks on the controversial issue surrounding the cancellation of his debate with James White, the fascist and petulant behaviour of the cross dresser David Wood and anti-immigrant migrant, Sam Shamoun. Please share this interview inshaAllaah (God Willing). Christians are fond of saying that although the Bible has unstable and sketchy textual contradictions, they can analyse the manuscripts and develop (yes, develop), a Bible as close to God’s words as possible. The problem however is that if you don’t know what God’s word was, how can you develop something, into it? That’s like saying you don’t know what an aeroplane looks like, but you’re going to design one. Validity of Chain of Transmission. The authorship of any document, especially those of high esteem must accompany the scribe’s identity. E.g. I write a document, claim it’s from the President and it doesn’t have his signature. No one would accept it. Likewise, if I were to claim that I have a scripture from God, written by “unknown”, how much trust would you actually place on me? In stating this, it should be noted the names of the Gospels were based on assumptions and traditions. Although it is common for scribes to leave a manuscript autograph signature, we have no such signature from any of the four (4) synoptic Gospels. The validity of the author must be sought. E.g. I write a document, sign my name and say I am the President. There is no evidence I am the President, who would then believe me? Likewise if I authored a scripture and claimed to be a scribe of God, then some evidence must be shown, after all would you trust someone based on word of mouth or credentials? Similarly, the Bible has no such form of verification. There is no one from the Patristics (early Church Fathers), the Presbyters (early Church elders) or from the Disciples (Peter, Barnabus) to testify to the identity and works of Mark, Luke, John or Matthew. Again, questionable character comes in here, if the chain of narration contains those persons who are known to lie, shall we trust their words? Surely this is not so. Similarly, what about a man who willingly declares himself to be a fool (2 Corinthians 11) and possessed by a demon (2 Corinthians 12)? If we compare the OT with the NT, it is radically different. You have to apply your own exegesis (therefore eisegesis) to create some form of bond/ relationship between these two “revelations”. Yet, Jews, the majority of which, do not accept the New Testament as scripture, because it does not comply with their mainstream beliefs. Generally, the problem with 150,000 manuscripts, is not that they have errors which can be corrected, but it is that there is not a single original of which to compare any of these manuscripts with. Of the 24,000 pre-Codex Sinaiticus manuscripts, most are not used. The Bible is generally a book where errors have to be continuously eliminated as errors keep popping up, such as with Mark 16:9-20. How are we to know, that for almost 2000 years men believed those words to be true, many today, yet the earliest manuscripts never had them. bed, and not on a stand?” (Mark 4:21, RSV), several important manuscripts read “under the stand.” This is obviously a scribal error in repeating the preposition “under” in the third phrase. Sometimes a scribe’s error of judgment works havoc with the text. One of the most atrocious blunders of this kind is in the minuscule Greek manuscript no. 109, dated to the 14th century. This manuscript of the four Gospels was transcribed from a copy that must have had Luke’s genealogy of Jesus (3:23–38 ) in two columns of 28 lines in each. Instead of transcribing the text by following the columns in succession, the scribe of MS 109 copied the genealogy by following the lines across the two columns. In addition to such transcriptional blunders, which can usually be detected and corrected, occasionally a scribe deliberately introduced into the copy a change that seems to clarify the sense or eliminate a difficulty. For example the older manuscripts of Mark 1:2–3 attribute to the Prophet Isaiah the evangelist’s composite quotation from both Malachi and Isaiah, whereas later manuscripts (followed by the King James translators of 1611) read, “As it is written in the prophets,” an obvious amelioration of the earlier text. 1 – Bruce Metzger, Persistent Problems Confronting Bible Translators, Bibliotheca Sacra 150: 599 (1993): 273-284. Often times, the Epistles of Paul, make references to scripture (whether canonical or not) and claims God said it. In this case, their God, being Yeshua, otherwise known as Isa al Masih alayhi as salaam to the Muslims. ,In the same way, the Lord commanded that those who proclaim the gospel should get their living by the gospel. Therefore the question arises, if Jesus commanded this and in understanding he said nothing in secret, considering 2 Timothy 3:16’s statement that, “All Scripture is God-breathed”, where exactly did Jesus ever utter such a statement in the New Testament? Jesus says, he said nothing in secret. His statement is supported by gospel which says, all scripture is from God. 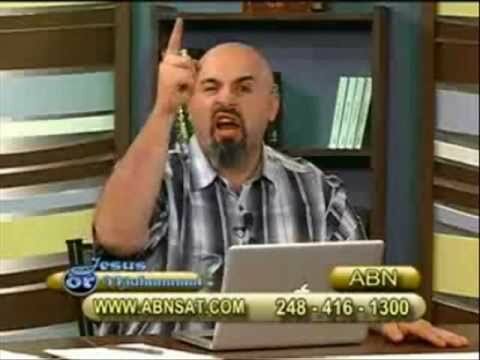 Paul makes a claim that Jesus said something. We arrive at a problem. If Paul’s source is a secret, then we arrive at a dilemma. and, or Paul lied on both scripture and Jesus. Objections to what has been stated. Well the answer is quite simple, this is quoting Luke, who was a companion of Paul, whom one can read in vast detail as being the companion of Paul . Paul’s Epistles are believed to be initially spread from the year 50 AD (beginning with 1 Thessalonian), yet, Luke’s gospel is cited as being as much as 12 years later by John A.T. Robinson, Anglican dean of chapel and lecturer in theology at Trinity College, Cambridge. Therefore, the argument is baseless that Paul is citing Luke, if the Gospel of Luke was written after the Pauline Epistles. Vocabulary. While statistics are not always as meaningful as they may seem, of 848 words (excluding proper names) found in the Pastorals, 306 are not in the remainder of the Pauline corpus, even including the deutero-Pauline 2 Thessalonians, Colossians, and Ephesians. Of these 306 words, 175 do not occur elsewhere in the New Testament, while 211 are part of the general vocabulary of Christian writers of the second century. Indeed, the vocabulary of the Pastorals is closer to that of popular Hellenistic philosophy than it is to the vocabulary of Paul or the deutero-Pauline letters. Furthermore, the Pastorals use Pauline words ina non-Pauline sense: dikaios in Paul means “righteous” and here means “upright”; pistis, “faith,” has become “the body of Christian faith”; and so on. Literary style. Paul writes a characteristically dynamic Greek, with dramatic arguments, emotional outbursts, and the introduction of real or imaginary opponents and partners in dialogue. The Pastorals are in a quiet meditative style, far more characteristic of Hebrews or 1 Peter, or even of literary Hellenistic Greek in general, than of the Corinthian correspondence or of Romans, to say nothing of Galatians. The situation of the apostle implied in the letters. Paul’s situation as envisaged in the Pastorals can in no way be fitted into any reconstruction of Paul’s life and work as we know it from the other letters or can deduce it from the Acts of the Apostles. If Paul wrote these letters, then he must have been released from his first Roman imprisonment and have traveled in the West. But such meager tradition as we have seems to be more a deduction of what must have happened from his plans as detailed in Romans than a reflection of known historical reality. The letters as reflecting the characteristics of emergent Catholocism. The arguments presented above are forceful, but a last consideration is overwhelming, namely that, together with 2 Peter, the Pastorals are of all the texts in the New Testament the most distinctive representatives of the emphases of emergent Catholocism. The apostle Paul could no more have written the Pastorals than the apostle Peter could have written 2 Peter. 3. It’s a paraphrase. Verbatim quotes are not what is being indicated here, so it’s pointless to ask for one. Does Paul have to say it is a verbatim quote for us to acknowledge it as such? Did you read the quote cited? In the what? The “οὕτω” way, meaning? In “οὕτω” way, he “διατάσσω”, meaning? Jesus specifically, gave this order, in the same way, as Paul is narrating it. This is to display the liturgical transmission of narratives about Jesus from the disciples. So even the verse, expresses what I have expressed and answers you quite clearly. – Norman Perrin, The New Testament: An Introduction, pp. 264-5.